After several hours of mashing the refresh button in Firefox, I was finally able to get to the G1 preorder form and place mine. On October 22nd, I will be the proud owner of a G1, the first Android powered smart phone. 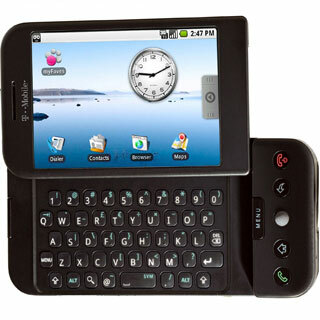 The phone has a touchscreen interface similar to the iPhone, but it also has a full qwerty keyboard that slides out. Not only that, but it is running Android, which is a very open development platform, which means all sorts of cool things will be developed for it.